I'm extremely satisfied with the results I’m getting using your All in One for lawns and other garden fertilizers. Best lawn in town thanks to Natures Lawn! I thought you would like to see how AWESOME my lawn looks.. I am the ENVY of my neighbors... It is soo pretty and soo thick.. I have been using your products for about 5 yrs Prior to use my lawn was pretty bad as we have a lot of clay and it was hard as a rock Now I find worms something I didn't have for years and years.. Thanks for all of the advice you give when I have a question. I've been using aerify plus for about 15 mths and started using your fertilizer and dethatcher at the end of last summer. My soil was very dry and usually picked up a disease from the thatch holding the water. After using aerify plus, Here is a pic of my lawn in northern DE. Its so thick there is no room for a weed to come up. I just bought your all in one product to maintain my lawn. I know it can be even better. I thought you might enjoy how beautiful my yard looks with All-In-One for LAWNS. Thanks for great products! Just wanted to notify you to tell you how amazing my organic lawn has looked over the past two years. I am a 67 year old woman who works on my own 1/2 acre property and maintains the lawn. I only will use organic products as there is a high cancer rate here on Long Island and I will not use anything that will cause harm to people and wildlife. As I mentioned on the telephone a week or so ago, I had a professional gardener here at my home to eradicate some poison ivy and he expressed how beautiful my lawn was. I told him that I do it myself and it is all organic. He said that his company could not have done a better job on an organic lawn. So there you have it!! A great success story!! 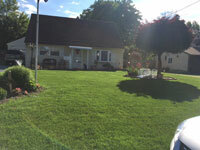 Attached are pictures from last summer of my beautiful organic lawn via Nature's Lawn and Garden products. Let me start off by telling you how great your products are. Back in the late 60's and 70's I had a lawn care franchise business in NY, and was sold on the Spray application method. I sold out to Chemlawn, and now I live in Charlotte, NC . When I found your products on the internet I had to give them a try. Today I have the best lawn in the development. The neighbors stop by just to walk on the lawn. Some stop by to feel it, they think it is fake. 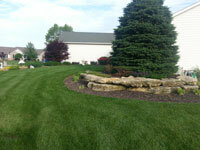 Lawn maintenance companies ask me what I am doing to keep my lawn looking so good. I tell them and they don't believe me. As you can tell, I am totally sold on Natures Lawn. Please feel free to use any comments I make about your products. I don't believe there is anything easier or better to use when dealing with my Charlotte, NC clay. I love your products. i have the greenest and thickest lawn in the neighborhood." The football field at Luther College in Decorah Iowa had bad drainage. Grass roots were only two inches deep and most were brown, with some actually black. I applied the Aerify PLUS along with some of your Humic Acid and watered it really well. 3 weeks later I checked back. The roots were now healthy and white and down 4-6 inches. I’m sold on your products! For 5 years now, Nature's Lawn products are the only thing I use on my lawn. As of last year, I have the greenest lawn on my block. It is also the first lawn on the block to green up in the spring. Customer service is top notch and personal. No form letter answers to questions here. I called Natures Lawn and they were more than helpful in educating me on what products of theirs to try: Aerify PLUS, and Biological Dethatcher. I intially thought I would have to turn over the entire yard, but as it turned out, over a few weeks, the grass began to change, not only in color but texture. I have a seeded lawn, and it was never truly thick, nor would it stand up like sod. Except for this summer it did, and its beginning to look like I laid down sod. Even now in mid October its still green when other lawns around me aren't. Having read others testimonials, I to wanted to add to mine. The owner(s) of Natures Lawn truly are the real experts with lawn and garden, and the products they've created proves they know what they're talking about. They take the hard out of maintaining the kind of lawn everyone wants. If their advice is followed, and the products they recommend are used in accordance with the instructions you will have not only a beautiful lawn but garden as well. The neat thing is that these products work with nature not against it, In additon to all this I have begun to see the return of earthworms. I think the Robins may have visited our yard to frequently over the summer filling their bellies. Whatever the case, its a healthy sign. They are afterall natures true aerators. Thanks for the truly great products. Natures Lawn - the true lawn experts. I have an estimated 1460 pound pumpkin that is still slowly growing in my backyard in Joliet, IL. This is the first year I tried your AERIFYPLUS product and am very happy with the results to say the least. I applied one full hose end applicator bottle to each planting spot that consists of 700 sq ft. I have made repeated posts im my grower diary about your product on Bigpumpkins.com and have also posted on the Giant Vegetable Growers' of Ontario's message board how i love the product especially the goodies of the kelp, molasses, and humic acid thrown in. That is one nice combo besides also loosening my soil while at it. You are more than willing to use my testimonial. 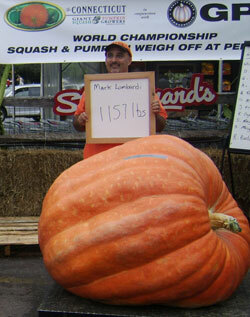 Note: Jeff's pumpkin came in at 1493 pounds and set an Illinois state record. "Three different neighbors, in addition to a house guest from Cincinnati in January, have been most generous in their praise for the robust, lush appearance of our lawn. You know from experience the road to a vigorous lawn didn't start in January; it started in spring 2005 when I Googled "hard pan clay." Up came Nature's Lawn, with Aerify and Nature's Magic. I made three or four full applications each summer. During each of the drought-plagued summers I watered diligently. The earthworms loved it, the Robins loved the earthworm population, and the tall fescue thrived. Considering we're in our fifth growing season, we feel the results have been 'nothing short of spectacular'. Evidently, our neighbors think the same...at least they continue the parade of compliments! This year I'm going to focus on my shrubs, particularly the camellias and azaleas. They too are planted in this hardpan clay, still, I expect by the end of the summer they will be much healthier. I continue to send curious neighbors your way. If they ignore Nature's Lawn, they will continue to have mediocre grass. This hard-pan clay is a difficult growing medium." The photo on the left is the one I sent to you last Spring after 18" of snow fell (and killed) my beautiful lawn over Christmas. I reseeded and used Aerify Plus about once a month through the Spring and Summer months. Naturally I did the Spring and Summer fertilizing. The photo on the right was taken about a month ago after my Fall fertilizing and Aerify Plus. I am delighted with the results. My grass came back 100% better than all my neighbors who had the same problem as I.
I ordered your Aerify PLUS product last year. 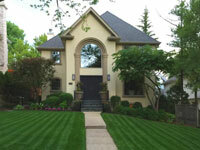 We have always had a beautiful lawn and have won Yard of the Month several times in our community of 800 homes. We live in St. Augustine, Florida. At the beginning of February all of the lawns in our community are still brown and ugly and ours has been green and lush for several months. We are so shocked at how great our lawn looks and not to mention ALL of the compliments from neighbors. In eleven years, our lawn has NEVER been green for this long. It is quite amazing!! We are ready for a refill. We are so happy with the results. I've maintained and fertilized my two year old sodded lawn regularly. However, I noticed this summer that my lawn was simply not growing in spite of ample rain. In addition, the lawn was not thick and robust. 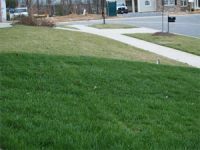 Two lawn care companies did a lawn assessment and both stated they would aerate and apply their fertilizers regularly. The yearly cost would be over $300. I found your products on the internet, read the testimonials and made a phone call. The lawn care specialist was extremely helpful. After I explained my problem and told him of the high clay content underneath the top soil, the specialist recommended the lawn dethatcher and Aerify Plus products. I've applied the dethatcher once and Aerify Plus twice over the last four weeks…and it is working!! Large areas of my lawn are beginning to thicken and grow…and this is only after one month!! I highly recommend these products and can't wait to see how my lawn looks in another month. My only regret is not finding these products in the spring vs. late summer. Thank you. There are so many high profile lawn and garden products on the market, BUT NOT ONE OF THEM, AND I SAID NOT ONE OF THEM, out performs the NATURE'S LAWN AND GARDEN, INC. products! I've been with them for over five years, and their products perform, exactly as the company promises. The first or second year, of using NL's products my baby brother walked into my yard, where I was standing and stated ...that I had the greenest and strongest looking lawn on my street. Mind you now! My baby brother is not one who cares about lawns, or horticulture. Lastly, when you begin purchasing products from NL, you begin a dialogue with the owners, who never get tired of answering your questions, and they do not brush you off, when your money is "short" and you can't buy products for a while. I can't say enough good things about this company. Give them a chance. I assure you your yard will look fantastic, and you will have turned on a horticultural "stream of wisdom" like no other you've ever known! A good friend of mine came to me with a lawn problem. A year ago while he was having a tree removed the bucket truck broke a hydraulic line and dumped a 10 foot diameter circle of hydraulic oil on his lawn. Since then he has not been able to get anything to grow in that area. I gave him a quart of Aerify Plus and told him to take a sprinkling can and put a couple of ounces of Aerify Plus in it fill it with water and water that area every day until the Aerify Plus was gone. July in NW Ohio was hot and dry and everyone's lawn went dormant so he saw no results until the second week of August when it got cooler and we had rain. Now he has grass growing in that circle where he had none grow before. I just had to email you and tell you how well my lawn and trees are doing after I have put all your ingredients on them for a month or two now. I think adding the Humic acid just really really helped. My St Augustine is so green now it would hurt your eyes to look at it. WOW! It is so thick you wouldn't believe it and such a deep green it is gorgeous. The lady who helps me clean my houses was at the kitchen sink the other day and she looked out the window and she said, "boy that grass is green"
There is a lot of St Augustine in yards here in Texas but none of them look like miine does. Thank you so much for your help, it is unbelievable how your products work, especially when I got a soil test too. After I got the soil test then you and I could figure out what I needed and it has worked so well! I wanted to tell you how happy and impressed I am with your products. We live in the mountains of Colorado, and our soil is very thick clay. When we bought our house three years ago we had sod installed. It was pretty at first, but then by the end of the first year, it looked sickly, even though I was watering several times a week and fertilizing per the manufacture's instructions. Last fall I noticed that the grass just wasn't growing; it looked choked. I just couldn't figure it out. I did some research, and discovered that I had thatch, and could be taken care of with a good power-raking, some aerating, and a thorough over-seeding. Nope.... I researched "treating thatch", and up popped Nature's Lawn. I had no idea that thatch is a symptom of my poor soil!!! I promptly ordered the Biological Dethatcher and the All-In-One for Lawns. I received it, I applied it, and my lawn has already changed! I wake up every morning and look out the window to see more change! It's soft, and green and all my over-seeding that I did last fall is growing! I loved working out in my yard, and now maybe I won't have to work so hard. Thank you very much for such a great product. As long as I'm growing green things, you will have a loyal customer! In 2005, I moved to SE Georgia where the soil is termed "hard pan" - hard as a rock and impenetrable by water. The Georgia Studies textbook for 8th graders termed this area "unsuitable for agriculture, supporting only Pine and scrub." So . . . research led me to Aerify Plus. Aerify Plus is the most cost effective solution to get the needed biology into soil that cannot breath. You will be amazed at the results! I also use Nature's Magic on my evergreen shrubs, roses, variety of flowering shrubs, and trees. I have been using the product for 3 years with great results . My GA soil was yellow clay and hard as concrete. Now, I just finished sodding my backyard. The soil is now brown and full of earthworms. This is an amazing transformation from soil that wouldn't support much more than weeds. I added Aerify Plus to the starter fertilizer and just ordered Natures Magic to help speed the rooting process to prepare for the hot late summer here. Great products that are reasonably priced. Tech support is also great. I discovered your website two years ago when I was looking for dog-friendly products to use on my lawn. I tried the usual products found at the chain home and garden stores and the lawn became sparse and non-existent in some places because of my dog. I had given up, but decided to give your product a try. My lawn consists of clay soil which turned into a small lake in the spring when the snow melted. After reading information on your website, I learned that this was caused by compaction, not because my yard was lower than my neighbors (probably because of all the compaction). I have been using Aerify PLUS, Biological Dethatcher, and Bio-Enhanced 16-4-8 Liquid Fertilizer. After one year?s use, I noticed a big difference in the spring. There was not very much standing water in the yard. After two years of use, I am so happy to say I have NO standing water even after a very heavy downpour. Now that I have better aeration in my lawn, I am excited to see the grass start to thrive. I tell everyone who is looking for Green Products to check out your website. I'm ordering my second round of aeration products. I definitely noticed results with the Aerify Plus. Reason one is that due to poor grading, water used to sit on a concrete patio for a day or two. Now it no longer does this. Reason two is that the grass used to be soggy and squishy sounding, and now it is firm and appears healthy. Your product has done a fantastic job of leveling the playing field. I live in Roswell, GA and enjoy the rock hard GA red clay. I started with Aerify PLUS a year ago. I am putting in a brick sidewalk and have moved lots of dirt. Now, I can dig without having to resort to a pick or spud bar. Where I am putting in the sidewalk, there are tons of earthworms! Very excited about your product and seeing the improvements in my property. The Aerify Plus has been working wonders. I prepared myself to be very patient before expecting results but have seen a significant improvement in my lawn in a matter of 6-8 weeks. I had a patch of solid hard dirt/clay in the middle of my lawn that was an eyesore. After a few applications of the Aerify Plus I noticed the soil was ready to plant some new seed. Sure enough the seed has now broken the surface and looks ready to join the rest of the lawn. Thanks for all the information on the website and support through email. Yep - things are starting to improve. Our lawn was planted in 1975 in subsoil from the foundation dig. The Yellowstone Valley soil is very alkaline, and practically solid clay 1-2" below the surface. Our lawn is one now of the best looking and no doubt healthiest on the block and the only one not using harsh chemicals. Love your product! I have almost never written a company about their products but this time is a is a little different! Prior to using your Aerify PLUS, I dreaded hard rains. The reason is hard rains would pool in my front yard and caused my side walk (which leads from my front door to my drive way) to be covered in about 1 inch of water! It was miserable walking though it. I thought long and hard about trenching and even building a higher sidewalk! Anyway I bought your Aerify PLUS in the hopes of growing a better yard! I used it twice so far. Today we had a hard rain! When I got home, the first thing I noticed was my sidewalk was not flooded! I also noticed the pooling of water in the front yard was almost non existent! Thanks for a truly great product! I am seeing a bit more earthworms too! Excellent product and service! Thanks from SC! I'm HAPPY with the results! Here is the satellite image of my house I found by the Google map search. You can't find more greener in NE Ohio in the early spring (2006) than this, can you? I started using your products (Aerify and Soil Activator) in 2005. Very impressed with the outcome. I'm on very dense clay soil in the Charlotte NC area and have a Tall Fescue lawn. The irrigation system has been turned off since August (due to our drought). The only watering it gets is what little Mother Nature has provided. Two weeks ago, in early January, my lawn still needed a mowing. It's full, green and hasn't gone dormant at all even with night time temperatures in the 20s. My worms are happy and spreading to clay areas where worms are usually not found. It's currently a medium dark green and still growing (slowly). The secret naturally includes your products Aerify! and ... And then some. Photo is attached and looks the same as last year when we didn't have a drought. Here's the formula I use if you want to pass it on. 1 Gal. Aerify throughout the growing season (March - October), only when the ground is already wet. These products alone will bring the soil to life. 2½ Gals Nature's Magic throughout the growing season, only when the ground is already wet. (I find that your normal recommendation rates are a bit too light for drought-stricken areas.) These products alone will bring the soil to life. 50 lbs of phosphate only fertilizer 0-45-0 each in Dec. and Feb. for maximum root growth. A balanced fertilizer like 17-17-17 each in Nov. and Jan. Use at the heaviest application rates listed on the bag" . For March I would say use whatever fertilize you like, but this is the last application until the fall. Corn Meal (no sodium) to feed the microbes that Nature's Magic help create -. 5 lbs whenever you feel like it. Oh, and never cut the Tall fescue lawn shorter than 3½ inches. That will keep moisture in and help keep weeds out. I firmly believe that your products enhance the health of the soil and the phosphates help produce a strong root system that helped my lawn survive the drought. Our greens were so compacted that we were seriously considering full replacement in 2005. We needed a hammer to get a soil probe down 4". Core and deep tine aeration were not helping anymore. We started applying Aerify regularly to two test greens in September 2004. The soil improvement in 2 months was so dramatic and evident that we began putting it on all the greens before winter hit. I believe that Aerify has not only helped prevent the need for green replacement, it is also going to save us thousands of dollars in future aeration costs. 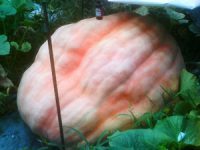 Here is a picture of my giant pumpkin (1157 lbs) grown in 2008 with help from Nature's Magic. Great Stuff! I just wanted to tell you how pleased I am with your products. Our home (had been unoccupied for 2 yrs) purchased about 5 yrs ago had a large above-ground pool that was removed. Trying for many years to grow grass there and everywhere else, on top of having four active huskies was really fruitless despite all the hard work, buying alot of seed, and preparing the soil. Until I discovered Aerify and Natures magic! I started in late 2007 and this past spring I could not believe how fast the grass greened up and grew, and after fairly heavy use of those two products this year the grass is the best it has ever looked. Even my dad told me how great it looks! And, one day I happened to realize that on top of everything else (and I had never seen it mentioned on your website) grass burn from dog urine is a thing of the past. My yard finally looks the way I wanted it to five years ago! I recommend your product to anyone who would like a lush carefree lawn. I live mid way between Atlanta and Augusta GA and we have been under drought (100% no watering) restrictions since late August. My lawn was planted in May and I had applied Aerify PLUS 2-3 times before the water restrictions hit. Between late August and late October, we probably only received 1/2 to 1" of rain. Because of Aerify PLUS and Nature's Lawn, my lawn never went yellow! In fact, I think folks thought I was watering when I was NOT! Using your AERIFY product has done wonders for my Santa Anna Bermuda grass lawn growing in Palos Verdes, California, Adobe (Clay) soil. For years I was getting streaks of dead grass in my lawn and could not prevent it. Tried Aerify and by the third application the dead streaks had disappeared. This worked even though the weather is cooler in the Fall and the Bermuda grass goes brown at this time for a few months. The lawn is still green in mid-December. This is a great product. I have only been using Liquid Aerify Plus since about Sept or Oct of 2007... What an amazing difference in my lawn. I have the GREENEST and THICKEST looking lawn in my neighborhood. I ride around my neighborhood to compare lawns and so far there is NOT much competition. THANKS SO VERY MUCH!! For the first time in about 10 yrs I have worms in my dirt!!! I have very hard clay in Ewing NJ but today I went out and actually put the shovel in the ground without breaking my back. I purchased Aerfy! and Nature's Magic for my yard last March after sending you a couple of emails with questions that I had. I live about 30 miles east of Dallas and the soil is thick black clay (old cotton fields). I followed your schedule for compacted clay soil and by the end of the mowing season, I had neighbors telling me that I had the best looking yard in the neighborhood. The grass was much thicker and it did stay greener longer than other yards as well. In fact, one neighbor even told me they give directions to their house by saying it's 5 from the house with the nice looking yard. I did nothing different last year from my normal fertilizing schedule except treat with your two products. I am well pleased and thought you'd like to know. And also, my wife even comments on the size of the earth worms that we now find both in our yard and our flowerbeds are around our home. We didn't have these until we used your products. Rest assured, I'll reorder when I run out. Thank you so much for this (Aerify PLUS) product !! I feel the soil and the root system have greatly improved since using the product. I have pictures of the yard when I had lived here after a year and it is definitely an improvement since then. Also, watering here is an issue since we can't count on rain for moisture. We have sandy soil, not clay. Since using Aerify PLUS , the grass seems to hold the couple of waterings I do in a week's time and doesn't dry out as fast as before. I applied it to my dormant winter lawn in New Mexico the last week of March. Today, my lawn is so thick and green I can hardly get the lawn mower through it!! I have lived in this house for 12 years now and my grass has NEVER looked this good since I started using your product 2 yrs ago. Aerify PLUS is amazing stuff. Three applications this last spring and summer have made my lawn the envy of the neighbors and all the lake residents. One gal, while visiting, sat on the lawn and commented that it was like a plush carpet. She laid down in the shade and took a nap, the lawn was so thick she slept there for about two hours, no pillow, no blanket just the lawn mattress. "I am just about finished with my second bottle of Aerify PLUS. I have been trying to improve the condition of my lawn and garden for years!! Well, my yard now looks like your picture (so lush and thick). The added benefit has been that my Magnolia tree is blooming like crazy! It really hasn't bloomed properly in 10 years. I mean if I have to contend with the leaves in summer, I should at least be able to enjoy the flowers. Thanks for helping me have the best looking lawn for miles!" I just wanted to send you a quick note. We spoke a couple of times this spring about your product's use for my vegetable garden and the terrible hard clay texture of the soil. You encouraged me to try Aerify Plus. I used the product a couple of times on my garden prior to planting in late May. I have to tell you, my plants have never grown better or looked healthier, and it is yielding tons of vegetables. The soil is no longer hard and compacted as well. You have a loyal and returning customer in me, and I will be spreading the word to my friends about your wonderful product and my excellent results. I still have a green lawn after 28 days of 100 degree weather thanks to Aerify! I love my products from Nature's Lawn. The soil in our yard is becoming more workable. I wish I had had it forty years ago. I use all of your products because they are so good. My mums, treated with your Flower Fertilizer, bloomed beautifully. I fertilized my evergreens with your 10-8-8 All-Purpose fertilizer, and the mums around them got both fertilizers. They grew as though they were on steroids. Aerify! and Natures Magic improved my drainage and saved me from installing an expensive french drain system. Thank you for such wonderful products. 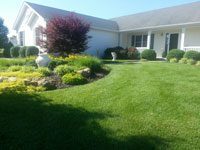 I am located in Pennsylvania and since I started using Nature Lawn & Garden's Aerify Plus and their fertilizers I have been the envy of family and neighbors . My lawn has taken on the look of a professional golf course. Besides their product line, I was even more impressed about answers to my lawn questions , how to use their products, and the safety for my dogs which use the lawn daily. The answers came from the owner of the company and the response was normally the same day . Natures Lawn - "It is GREAT to still know that there is a company that still operates the way it does in producing a quality product along with customer satisfaction to boot. I've been all-organic nearly 7 years now (new house with little top soil; some clay with compaction) and have been a user of Aerify for over 2 years now. The results I see are amazing! Our 1st year in the house I couldn't get a pitchfork or shovel into the soil; 2 years of using Aerify and the pitchfork penetrates the soil nearly 8 inches. Earthworms (nature's aerators) are in abundance and the lawn and soil are getting healthier...thanks to Nature's Lawn! It's great to see a product live-up to its hype. I used the Aerify on my paddock area in December. It is now March and with all the rain we have been getting, I really can see the difference in my soil. I have four horses on about a 1/2 acre paddock. In the early fall we had a lot of rain and it would pond up over the whole paddock. I sprayed the Aerify and about a month later the water just drained down, and the soil dries up quick. The horses don't stand in the mud any longer (love it). I also used a little of the Nature's Magic on a small patch on one of the back pastures. The grass grew so fast in about two days! I let the horses on it and they stayed in THAT part of the pasture all day!!! I can't wait to do all my pastures. I just wanted to thank you for the great products you supply. You saved me a lot of time and money on my fields and drainage problems. For the past 5 years, we have lived in Marietta, GA and have been frustated with the standing rainwater in our backyard that has a great deal of Georgia clay (approx 400 sqft) - grass has been nonexistent in this section and the mosquites have had a field day. We've had several estimates from landscape companies who have recommended putting in drainage pipes, etc. with a cost ranging from $2k to $4k. I discovered Aerify while browsing the internet in July 2005. My wife and I liked what we read from Nature's Lawn testimonials and decided to try it. I've applied Aerify to my yard once every 2 weeks for the past 2 months. The results have been ASTOUNDING! No more rainwater stands in my backyard! As a matter of fact, my shovel goes down at least 14 inches without hesitation, before using Aerify it'd go down about 2 inches at most - earthworms are everywhere in my georgia clay soil now. I highly recommend this stuff - it's really worked for me in good ole Georgia clay. 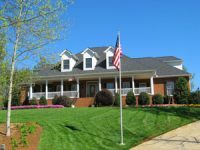 "Our home is only 2 1/2 years old and much of the topsoil that originally covered the yard was removed during construction. The subsoil here is heavy clay. After putting on some topsoil we sodded the yard. The next spring was fairly dry and the ground under the sod was so hard in most places in the backyard that I could stand (215 lbs) on a garden fork and the tines would not penetrate the soil more than an inch below the grass. When we did get rain, water would pool in the low areas and take hours to soak in. Without rain or watering, the grass showed stress very quickly. I came across Aerify and Nature's Lawn on the internet and decided to give it a try. Since May of 2005 I used Aerify (at 2 oz/1000 sf), Nature's Magic and Bio Enhanced liquid fertilizer as directed and our lawn started showing significant improvement within 2 months. It was dry here again last summer and we had had to water at least once a week, but our neighbors were watering several times per week and their lawns still looked stressed. When we did get several heavy downpours, the water no longer pooled in the low spots and was absorbed much more quickly into the ground. When I had a lawn care expert (graduate of Penn State with many years experience) come over to evaluate the lawn, his first question was "What are you doing to keep your lawn looking so good?" He said it was obvious by comparing our yard to the others in the area that whatever I was doing was working in this difficult clay soil. My wife and our neighbors noted that our yard always had more robins looking for worms. The builder that lives behind us and several other homeowners in the development (a golf course community) have asked what I'm doing to keep the lawn looking so good. I have only good things to say thus far and I would agree that the results described in the website are accurate." "I am the newsletter editor for the Western North Carolina Daylily Club in Asheville, NC. My husband and I have used Aerify, Nature's Magic and the Multi-purpose fertilizer since January, and your products have made a big difference in our plants. We have 100 different varieties of Hosta and 200 different varieties of daylily, along with hydrangea, Japanese Maples, helebores, and many ferns." I started using the Aerify and Nature's Magic last spring. We applied throughout the season and into late fall of 2006. In addition we did a full overseeding and I must say our lawn is amazing compared to the other lawns in our neighborhood. It stayed green all winter and is now very lush and thick. One other amazing note is the earthworms have returned. We hadn't seen any of them for a few years, but now they are everywhere! Good Sign! I am now in a new housing development that has had various "lawns" put in. The problem is that the soil content is severely compacted and the clay soil is almost cement-like to say the least. I have provided limited fertilization to the rye/bluegrass lawn, but I also added your AERIFY and SOIL CONDITIONER and if you were to look down my street, my lawn is almost carpetlike after the 2 recommended applications. My lawn is thickening where little grass grew before and the many "holes" have mystically disappeared as where there was patches of clay, I now have new grass. I would recommend your product to my many new neighbors if they were to ask what is making the noticeable difference. After using a skid loader to distribute landscape rock around our newly constructed home, the clay-based topsoil was severely compacted. I tried to break it up with a power rake before installing new sod, but it didn't do much. In the heat of summer,I noticed that the first areas of the lawn to dry out between waterings or rain were the same areas I had compacted with the skid loader. I put Aerify mixed with Nature's Magic into my lawn care regimen and as the season progressed those "quick-dry" areas have slowly disappeared. I now have a well-rooted, consistent lawn and I don't have to water as often as others in my neighborhood. I ordered Aerify and Nature's Magic at the end of summer when I wrote to you about my adobe soil problem in Palos Verdes, So. CA. Well, I am a believer! I've only used it two or three times and I am seeing an amazing improvement in both front and back lawns. I have even seen some improvement on the slope which is planted with dymondia ground cover. I have 'caliche soil', commonly known as Natures Cement. It is usually more like large and small rocks instead of soil. Even weeds struggle to grow here. So, I find that the best advertisement for your products is, seeing is believing. It has been a battle to grow thing here in Wise County Texas, despite using compost and gypsum and other organic amendments. Using a miners pick and post hole digger to plant shrubs was the name of the game. In less than a year I now have good soil (or better soil) to work with in most of my yard where I applied your products (Aerify and Nature's Magic). People have noticed my roses and other plants too where soil was poor before. Everything that was growing here is more lush in growth this spring - darker green leaves and just a major change in general. They want to know how I changed the growing conditions and where they can get the product. Word is spreading fast. "We have very hard clay soils in Arizona. They are so hard that a pick axe barely penetrates the ground(2-3") when dry. I have used aerify and the soil bioactivator for 3 treatments in one year, and all my trees have exhibited accelerated growth. I have also used aerify and the soil bioactivator to establish about 30 new trees and shrubs. During this time, I have applied about 20 gallons of water using drip irrigation to the trees, once a week. What I have noticed is that the puddles and wet clay areas left at the base of each tree used to last a few days. Now, the puddles do not even form, even in the winter when evaporation is low. I have tried many gardening techniques, but have never seen any technique, save soil admendment with large amounts of sand, that develops such improvements in drainage and healthy growth. I can compare my trees to neighbors who have many of the same species, but no aerify, and it is obvious that this system works. My deciduous trees leaf out in spring about 3-4 weeks before my neighbors trees of the same species and sun exposure. Aerify also helped the drainage of my bermudagrass area dramatically as well. Thanks again for an effective product." I started using Aerify and your fertilizer several weeks ago and my lawn already looks better than it ever has in the 5 yrs since I planted grass on our hard clay soil. Your products have done in 1 month than what 5 yrs of 4-Step products plus a season of lawn service have not been able to do. Last year, brown patch nearly destroyed my centipede lawn. I did a lot of research over the winter and decided in order to reclaim my lawn, I had to start with the soil. My studies steered me toward organic fertilizers, yet that was putting the cart before the horse. My soil was so compacted, it was a struggle to push a spade into it. After a rain, water stood in my yard like it was a paved parking lot. No sense in treating bad soil...right? My research on aerating led me to your product, being a liquid (easy to use) and inexpensive (nothing to lose) for large coverage, I decided to try it. In March after raking up all the dead grass, I used the liquid Aerify on what was left of my lawn. I intentionally left a small area in the backyard untreated. Over a six week period I used the Aerify four times. I also released over 500 night crawlers into my yard. To create an eco system in the soil. I then used an organic fertilizer to boost and enrich the soil. The results were so noticeable, my neighbors who had lost their lawns to the same fungus, were simply amazed. No more standing water except in the small area I left untreated. My watering bill fell by more than half because it took less time for the water to reach the ever deepening roots of my flourishing lawn, and I had NO run off. The bare spots were quickly covered by centipede runners that were thriving in the moist, rich soil. In the area of my yard that I intentionally left untreated, the roots of the centipede reach less than an inch and a half into the soil. The lawn area that was treated with Aerify boasts deep, thick roots that are still growing. I now have a lawn to be proud of that was easy to achieve, and easy to maintain. Some friends of mine were having some problems of their own. I suggested your product. One of them bought the Nature's Magic . He recently reported that he has grass growing in parts of his yard that have never sustained grass. All in all, the friends I spoke with that used your product have reported nothing but success. It is now August and my lawn is still thriving, thick and soft. My wife has commented that it looks and feels like a green carpet. We have lived here for ten years and my lawn has never looked this good. I have not used any chemical fertilizers or weed killers to achieve my goals. Recipe for success....Aerify, Black Hen (local pelletized chicken manure) , and WORMS! After seeing your website and seeing what Aerify can do for your lawn I had to try it. My lawn before, after a rain, was so soggy you couldn't walk in it. I received Aerify and applied it using only half of a gallon. After two or three weeks I noticed that after a rain it was no longer soggy. After a large downpour last night I was able to mow my yard, which is something I was not able to do before using Aerify. Thanks for making my lawn the best in the neighborhood. It is a new neighborhood and the homes are built on lots of clay. Several of my neighbors have stopped by and asked what my secret is. I told them it was not a secret. It is liquid Aerify from Nature's Lawn. I gave them your address and now their lawn is beautiful. My house was an inventory house and had been sitting for a long time with little care to the lawn.It has taken me a long time to get my lawn the way it is and I know it will be awhile before I can get the back yard up to standards. Aerify is simply the best focused lawn product I've ever used. Areas where drainage-erosion of my lawn left only the clay, the bermuda grass was very sparse and 'burnt out' like it was being choked. I've applied Aerify only twice (so far) and now those areas are just as green and lush as the other parts of my lawn. I am an owner of a lawn care business in Nashville, TN. I have seen remarkable improvements using Aerify. With every planting or seeding that I perform for clients I always pre-feed the area with Aerify and Nature's Magic, then also use a second topical application a week later and water it in. There is nothing that works like it, nothing that is close for that matter. I have seen the results and know the potential this product has in the marketplace. This is Joyce, down in Bloomfield, CT, writing you to say that my grass has returned better and greener than I have ever seen it before, and I've lived here for over 20 years. Your products are awesome and a real blessing too. My neighbor, who lives directly across the street from me, has let me help her with getting her lawn in shape, and her lawn is coming to life, quite nicely and very fast, thanks to your products. She had a very clay like soil, that no matter how much grass seed and fertilizer she put down, it just did not make a difference. After 2 and a half weeks, however, positive things are beginning to happen. Her lawn is filling in and greening up like never before. She is grinning from ear to ear, with pride in the result. I told her about you guys, up in Buffalo and your wonderful products. So, I am going to place an order for her, for her birthday, which is June 6th and a re-up order for me. Lastly, I want you to know that my brother, who does not usually pay much attention to things like flowers and grass, stopped by the other day while I was outside mowing, and this is what he said: "Golly your grass is green, real green. I think you have the greenest grass on this street." Well, thanks to you guys, I believe in one year, I do have the greenest and thickest grass on my street, too. I've been cutting grass all winter!!! Thin areas are filling in nicely. Seed germinated in some areas. Neighbors are asking "What did you do?" Cut grass last Friday and felt cushion beneath my feet. Only 2 applications so far. Will do another before rain next week. Used a skewer to check depth before and after application. Picked up 3.5" of increased depth, on average across the front yard. I CAN NOT BELIEVE IT!!!! stood there with his mouth hanging open in shock. We bought our house a couple of years ago and previous owners did very little lawn care. We have spent the last two years trying to get grass to grow with very little success. I will email you next season with before and after pictures! Living in San Clemente for the past 2 years has been a blessing and a curse at times. I love living near the ocean, but the soil here is basically dead clay. Since I have been using your products, at my neighbors recomendation ( he has th only green lawn on the block) my yard has regained the green thick look it had when we put it in. Wonderful, wonderful products! We went from a "swamp" lawn with standing water after rainfalls to a "normal" lawn within one month. Even after a 45 minute downpour leaving over an inch of rain...no puddles, no "squish" when you walked on the lawn. Amazing improvements in the entire lawn using the Aerify and the Nature's Magic. I would recommend this to anyone before you spend money on the professionals....try these products.....get professional results yourself. Thank you very much!! I am writing to tell you how happy I am so far with the results of the Aerify and Bio-activator products. Here in Montana our soil is very much a 'gumbo' clay, and we are in our 6th year of drought. I applied the Aerify and Bioactivator together about 4 weeks ago and did a followup treatment just this past weekend, and my next door neighbor (who has a nice looking 'chemical lawn') came out and commented how great our grass is looking! I told her all about your products and I hope to convert them. Also want to tell you I really enjoyed the book as well. We are correcting our methods as far as mowing and watering goes and actually are using less water than last year. A month ago I ordered both Aerify and Nature's Magic. We only applied the Aerify to see what it would do. We applied it in all areas of the yard, including flower beds. (It was applied at more than double the recommended rate by mistake, but) It has already made a major difference. The grass is so much greener and thicker than at any time in the past twenty years. I have a bed of azaleas out back that have had one to three blooms per plant for the last five years. This year they are blooming their little hearts out. All of my magnolia trees are blooming like everything. The flowerbed in the front of the house is nurturing those plants beautifully. Our driveway is up a steep path through the woods and then opens up where the house is in a wide open space. When they made the driveway, they pushed a mound of red clay to one side where absolutely nothing would grow and the sun just beats down on it. It was like a barren wasteland. Mainly just a smattering of weeds here and there. The ground was so hard in the hot summer time there would be cracks in the ground. If the lawn mower went over it, red dust would fly everywhere, I just literally hated to be near it. I had tried to dig in the ground and this is no joke, I bought a mallet and would chip into the ground with a gardening hand spade, sort of like pounding in a tent stake. Anyway, that did not work, so I tried soaking the ground as much as I could and trying again, the water just could not penetrate deep enough to get into the ground to soften it so I could dig. Well, I got the stuff you sent me, mixed some with water in a garden hose attachment sprayer and just stood there and sprayed the mound. My husband drove past me on his way to Lowes. (He was going to work on another project.) He leaned out the window of his truck and laughed and said, "I'm telling you, it isn't going to work." I said, "I know, but I bought it and I am going to use it." Well, like the bottle said, it does kind of suds up a little on the ground. I thought to myself, well, I am washing the ground. In just a little bit, I noticed that the ground was sort of giving away a little bit, so I stopped, went and got my gardening shovel (hardly ever used). I positioned the shovel and out of habit working with this hard clay I jumped on it full force using both feet. THE SHOVEL WENT ALL THE WAY DOWN!!!!!! It was absolutely unbelievable...unbelievable. I sort of just stood there for a second...(probably with my mouth hanging open...in shock).... I tried another spot and I could dig there too! My husband came driving up the driveway so when I saw him....I yelled..."LOOK, LOOK, IT WORKS!" and I jumped on the shovel like I did the first time. He got out of the truck, walked over and looked while I showed him and he could not believe it either. Since I sent you the e-mail, I have visited the nursery and bought bunches of ground cover, planted most of it ...still have a way to go...but, I am having a great time and am beginning to enjoy working in my yard. It is really exciting to buy something as one last chance and discover that it works!! !